(1974, Netherlands) An artist, philosopher and scientist, Koert van Mensvoort is director of the Next Nature Network; a 21st century nature movement that aims to go forward – not back – to nature. He has also been appointed Next Nature fellow at the Eindhoven University of Technology, board member of the Society of Arts at the Dutch Royal Academy of Sciences and supervisory board member of VPRO. 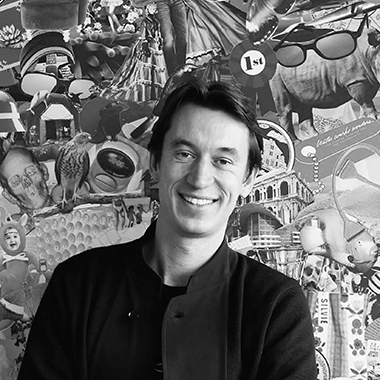 Previously Koert van Mensvoort worked as a researcher at the Center for User-System Interaction (1998-2003), as a teacher at the Sandberg Institute (2002-2006) and as a Visionary in Residence at Art Center College of Design in Pasadena (2008). Koert van Mensvoort is author of numerous books and publications; including: Next Nature, Save the Humans, Pyramid of Technology, What You See Is What You Feel e Natuur 2.0.